According to a report from Variety, Comedy Central might have found a replacement for Jon Stewart when he leaves The Daily Show later this year. It has been a tough search for the network, since virtually everyone who probably would’ve had a chance at sitting behind the desk has gone on to do other things already, but if Variety’s rumor is to believed, the show still intends to promote from within. Apparently, Daily Show correspondent Trevor Noah is the frontrunner to become the new host, despite the fact that he only joined the show in October of last year. 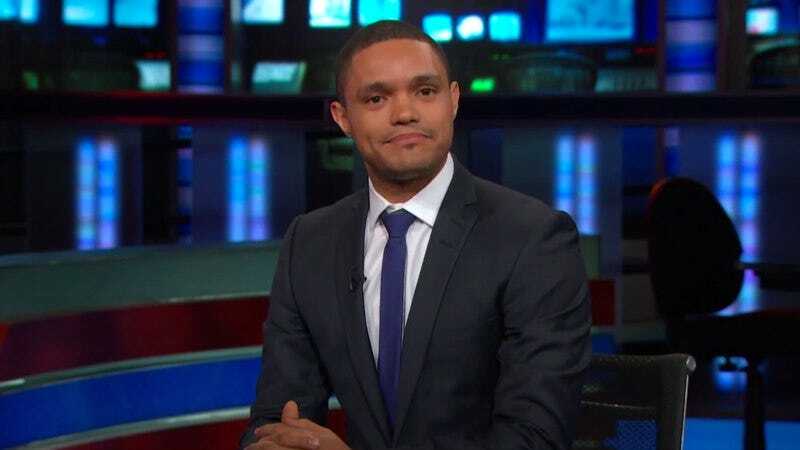 Noah is a South African comedian, and Variety’s article lays out a number of reasons why he’d be capable of taking over The Daily Show despite his limited Daily Show experience. For one, he hosted a late night show in South Africa, which is something that most people probably can’t put on their résumé. Also, Variety notes that Comedy Central has been purposefully giving projects to people who have “a unique world view,” so Noah’s background could be a huge factor in helping him get this position. Still, it’s all a rumor at this point, and Comedy Central probably won’t officially comment on anything until its ready to make a decision—which most likely won’t be for a while, so as not to distract from Stewart’s remaining months.